It was roughly two years ago when I first tested Jeep’s newly released diesel equipped Grand Cherokee. While I was quite pleased with the overall experience, my two days behind the wheel were all too brief. 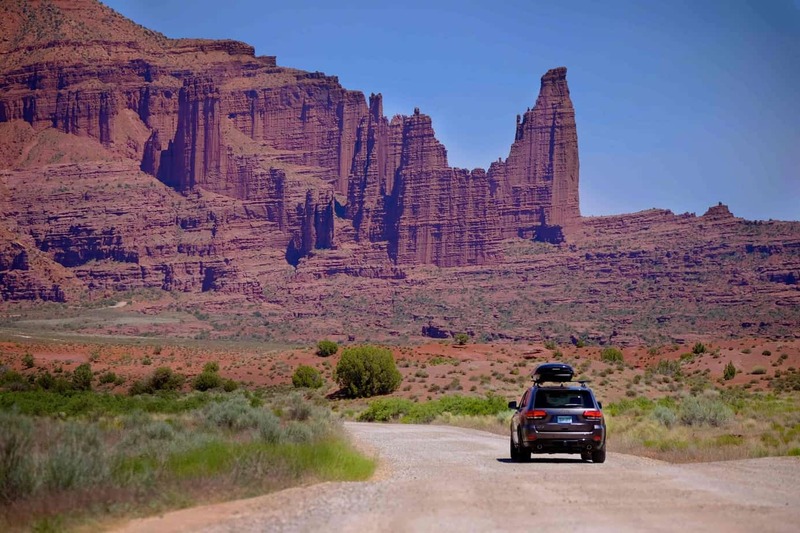 Lucky for me, I recently had an opportunity to spend 3,400 miles with Jeep’s top Cherokee and it truly is––Grand. 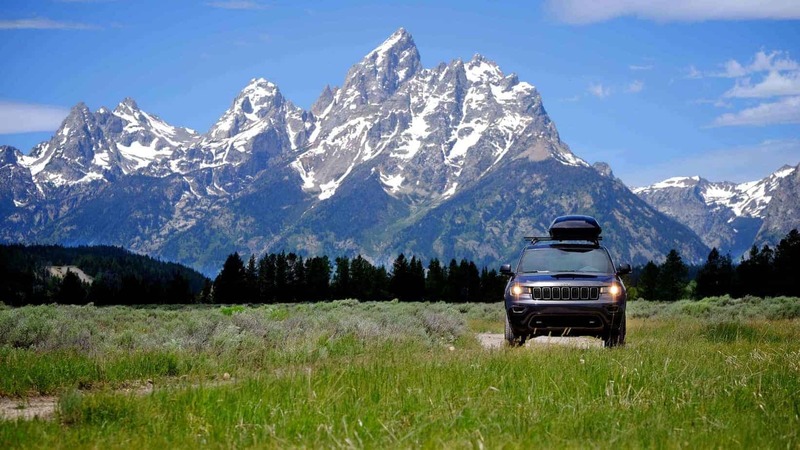 Over the course of twenty days I piloted the 75th Anniversary Edition EcoDiesel Grand Cherokee through seven states, five national parks, and a dozen national forest districts by way of every type of road surface I could wiggle into the route. 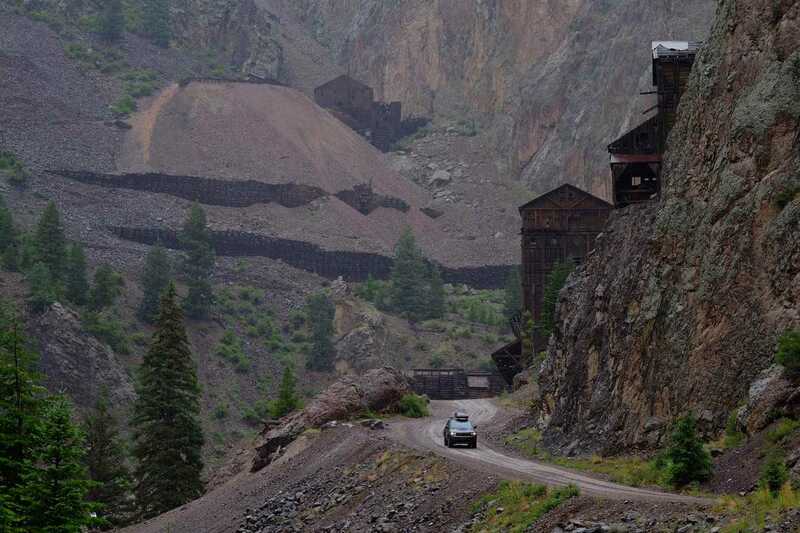 We traversed the Interstate in Montana at the posted 80mph speed limit and crawled around the tight switchbacks of Colorado’s seemingly endless backroads. The Jeep conquered all of it with poise and sublime comfort. If there is a better road tripper to be had, I’d like to know what it is. 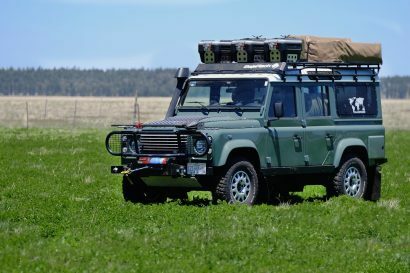 As overlanders we tend to place disproportionate importance on off-road aptitude when in many cases what we really need is a platform capable of knocking down big highway miles, particularly here in North America where distances are often extreme. 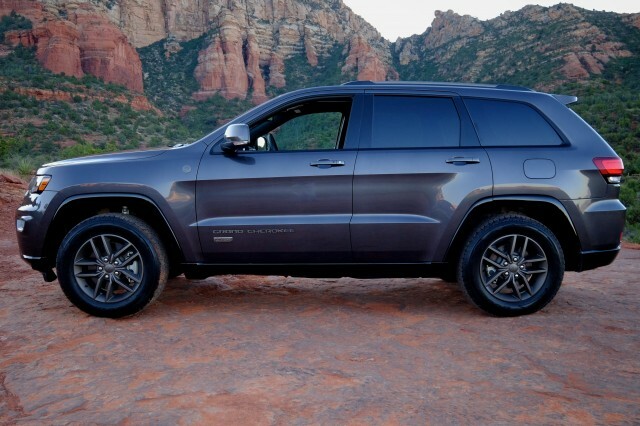 The Grand Cherokee’s road manners are superb making 600 mile stretches of tarmac a breeze. The 24.6 gallon tank paired to the 3.0-liter turbo-diesel V6 engine and 8-speed ZF automatic transmission give the vehicle an impressive 680 mile range at our registered 29.1 mpg fuel burn. As a road whip, that’s tough to beat. 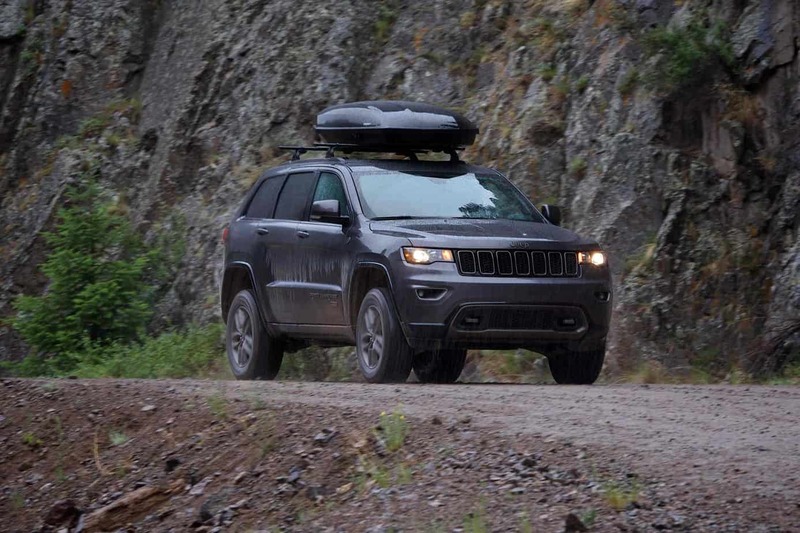 As is true with every vehicle in the Jeep arsenal, the Grand Cherokee was engineered to provide class-leading performance in the dirt, but there is no denying that it is a road biased platform. Aimed at the driver looking to blend luxury with capability, Jeeps top machine serves as a perfect compliment to the venerable Wrangler. Diametrically opposed in purpose, both achieve their design objectives exceptionally well with modest commonality. 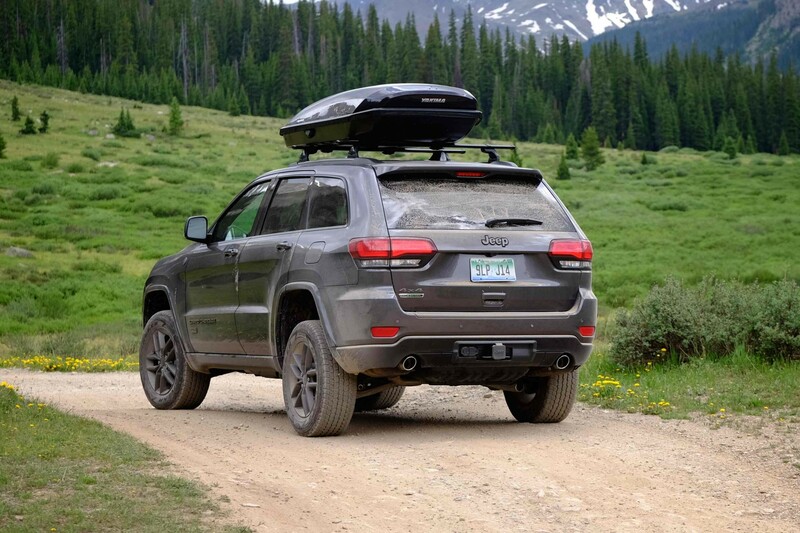 For our lengthy road test, one spanning the bulk of the Rocky Mountains, the Grand Cherokee’s ability to dispatch long miles in superlative comfort was appealing. 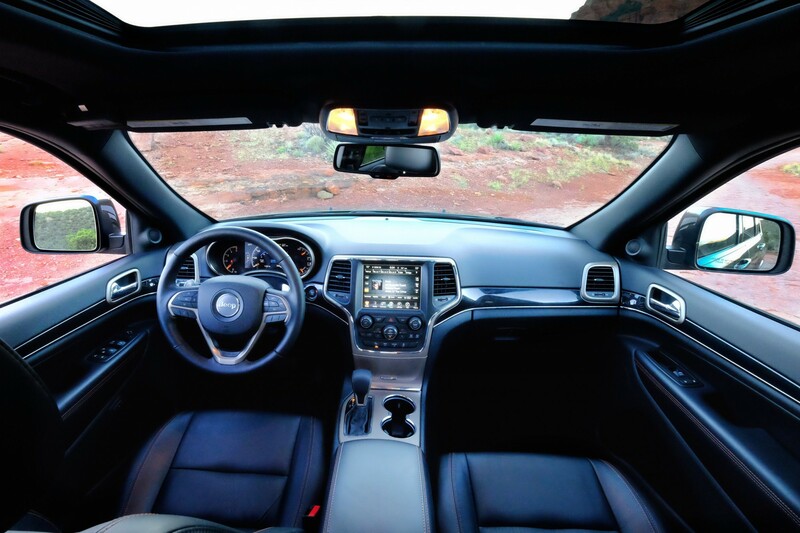 Slipping into the Grand, it’s impossible to not notice how finely appointed it is. 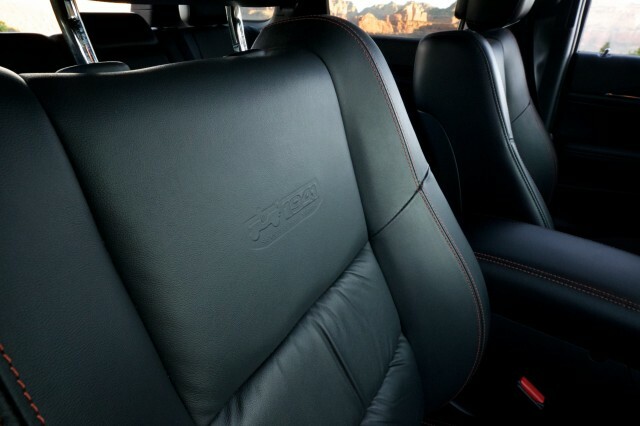 The leather-wrapped seats are plush but supportive and the dash wraps around the forward portion of the interior providing excellent visibility with all of the critical controls in easy reach. I found the degree of comfort afforded by the Grand to rival that of vehicles doubled in price. After spending more than 80 hours snuggled in the black leather seats, I can attest to their comfort. 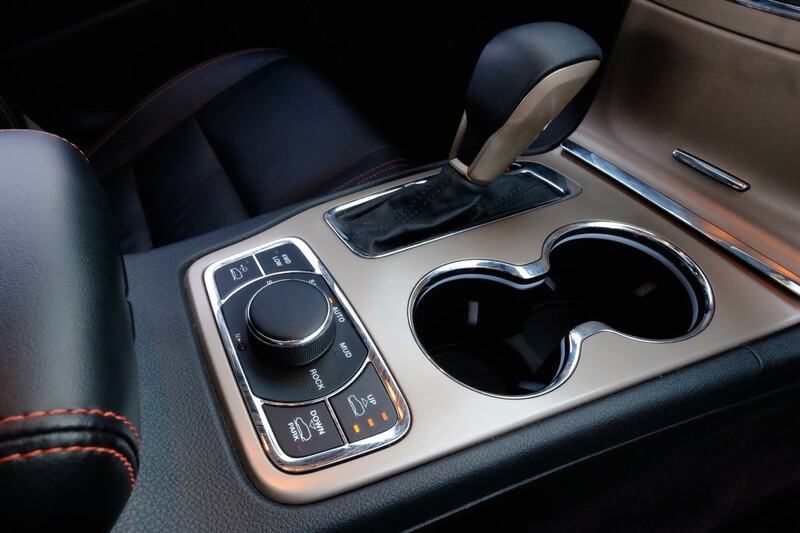 Long distances are best accompanied with quality tunes and useful navigational features and Chrysler’s Uconnect infotainment system with its brightly colored 8.4-inch display made the miles melt away. That monitor also houses the display for the back-up camera, provides quick access to climate controls, and can be used to dial in a multitude of custom settings for the suspension, steering, and other features. On-board WiFi kept us connected, even in the remote corners of the backcountry. The real star of the show, however, was under the hood. 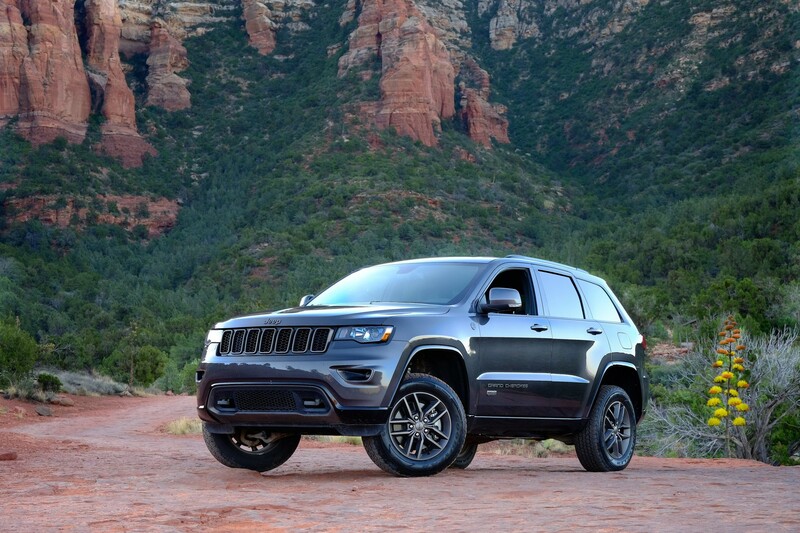 When ramping up to highway speed, the engine’s 420 lb-ft of torque and 240 hp quickly delivered the Jeep to cruising speed with low noise and smooth delivery of power. As the speedometer reached 55mph, the air suspension automatically squatted by one inch, lowering the vehicle into aero-mode for optimal fuel efficiency and balanced handling at speed. There is a bit of an abrupt bump of acceleration at the lower end but once past that point the power is linear and predictable. The electronic steering wheel gives surprisingly natural feedback and toggling between comfort and sport settings does improve the driving experience when transitioning between mountain roads and long sections of straight Interstate slab. The paddle shifters behind the wheel are convenient for driving in mountainous terrain, but outside of that, don’t offer much advantage over the already excellent changes provided by the 8-speed transmission. 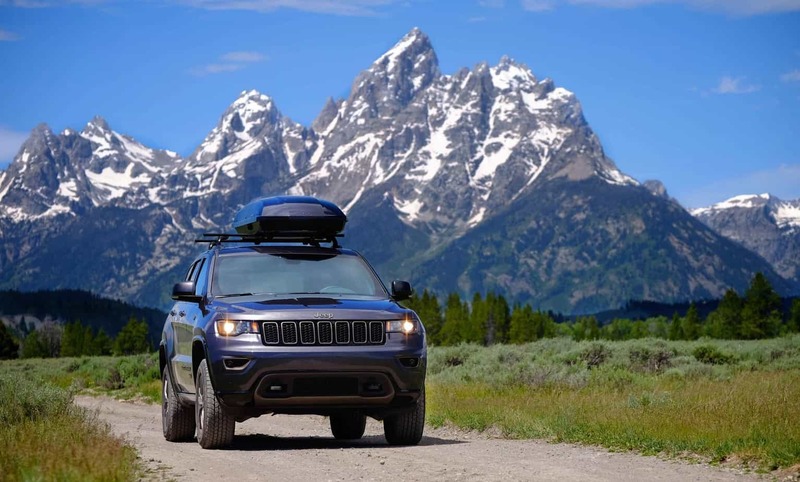 Overall, the Grand Cherokee is a pavement slayer and is not only comfortable to drive across the vast expanses of the Utah desert, but feels lively and sporty when carving mountain roads in the high passes of the Rockies. If you’re driving anything with a Jeep badge pinned to it, the need to take it into the dirt is an urge not to be denied––so we didn’t. A cursory count of dirt miles we logged put us in the range of 300 or more, some of them pushing the limits of the Grand. 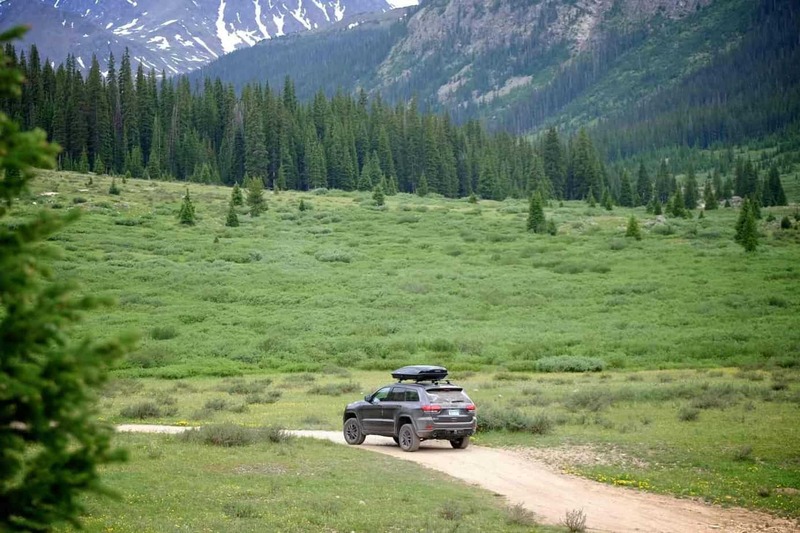 From the fringes of the Wind River Range in Wyoming to the flanks of the Maroon Bells in Colorado, the Trail Rated Jeep did admirably to keep us moving forward. 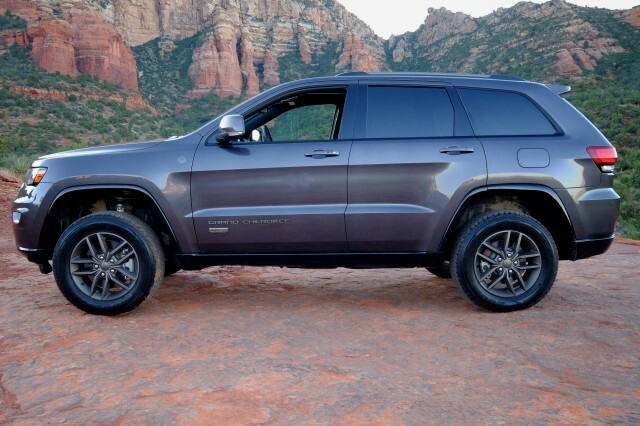 When approaching the Grand Cherokee in the driveway, its low stance gives it the presence of a homely station wagon. Low slung, it looks woefully incapable of tackling anything larger than a speed bump. With the press of a button, the air suspension begins to swell and the vehicle lifts rapidly. 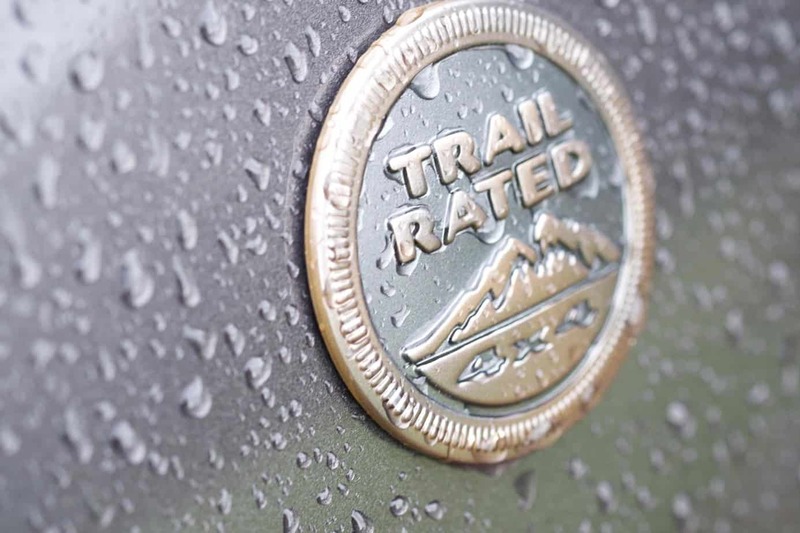 At the first of two off-road settings, the Grand raises roughly an inch, sufficient enough to ply most maintained roads with modest dips and bumps. Lifting the vehicle to position two places the door sills a full 2.1-inches above the standard height, more than enough to roll over most small ledges. At that elevation, there is a full 10.8-inches of clearance to work with. 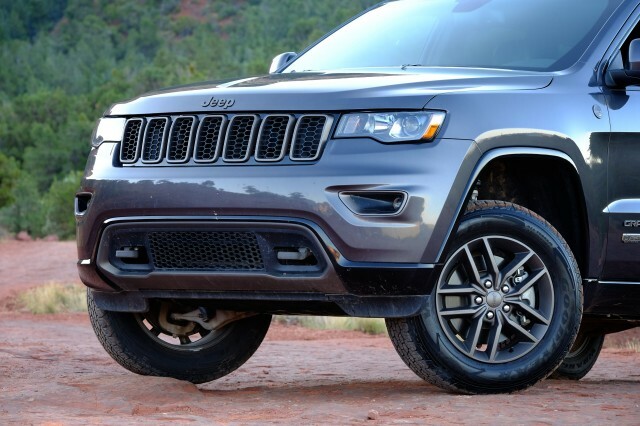 While it’s no Wrangler, the accommodating approach and departure angles give the big Cherokee impressive off-road chops for such a luxurious cruiser. 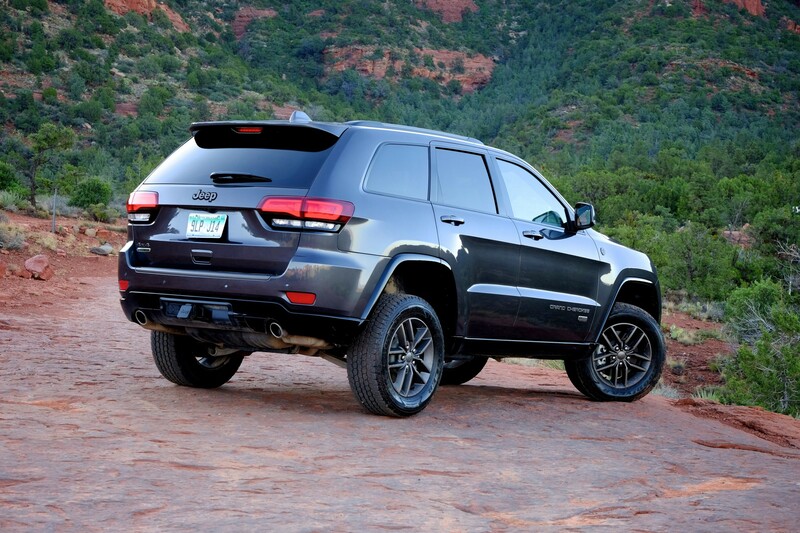 Putting traction to the ground is Jeep’s Selec-Terrain traction control system. In automatic mode it determines which settings are best suited to the current conditions, but with the turn of the dial, can be manually switched to mud, sand, rock, or snow settings. A well marked button engages the low range and a second button activates the descent control mode, the speed of forward progress controlled by the paddle shifters located behind the wheel. The digital screen behind the wheel can be used to display a graphic showing current wheel articulation and other useful telemetry. 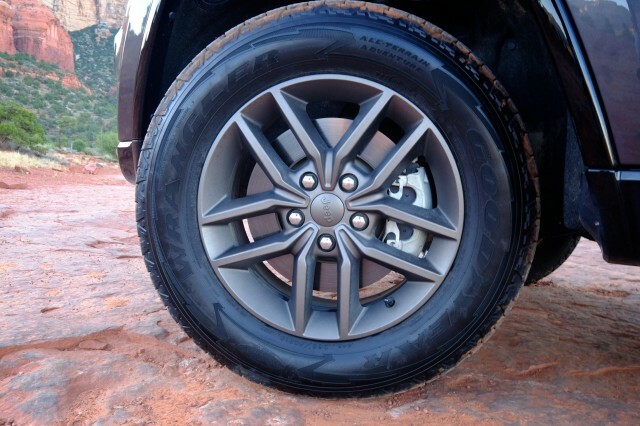 When traversing mild sections of gravel and two-track, the first off-road setting provides ample compliance, but the wheel travel is constrained somewhat by the additional air in the suspension. Low frequency bumps are attenuated well enough, but sharper impacts are delivered to the driver and passenger with noticeable sharpness. Adding more air to the system and climbing into the tallest setting worsens those attributes. With the tires at street pressure and the shocks fully inflated, edged impacts can be almost violent and jarring. Corrugations are unkind to say the least. 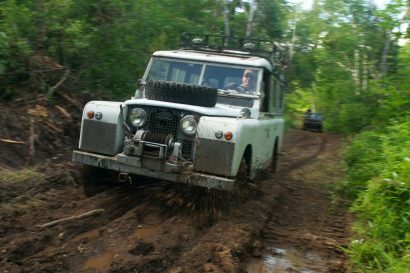 The higher the suspension setting, the more gingerly you must proceed through rough terrain lest you loosen your teeth from your skull. 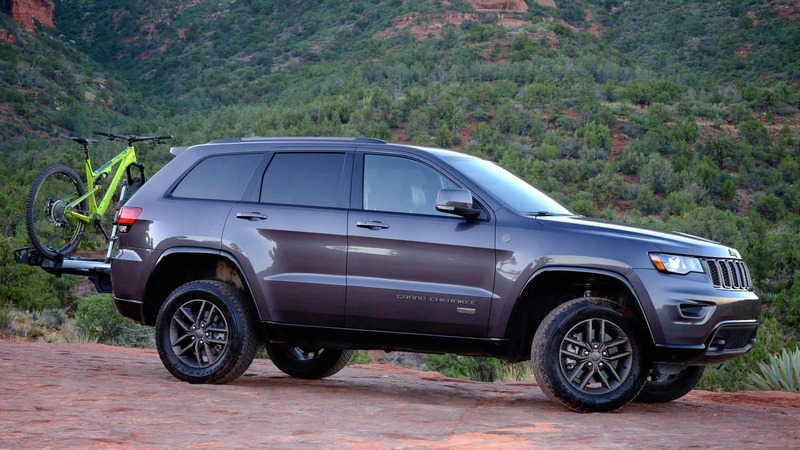 This is not to say the Grand Cherokee is not adept off-piste, but there are compromises to be made for blending this level of pavement performance with rough road and trail surfaces. The ideal use for the tallest suspension setting is to clear the occasional obstacle, lowering the system as permitted. That might not be the most convenient practice as it does take the compressor 15-20 seconds to raise and lower the vehicle, but it is a practical solution. 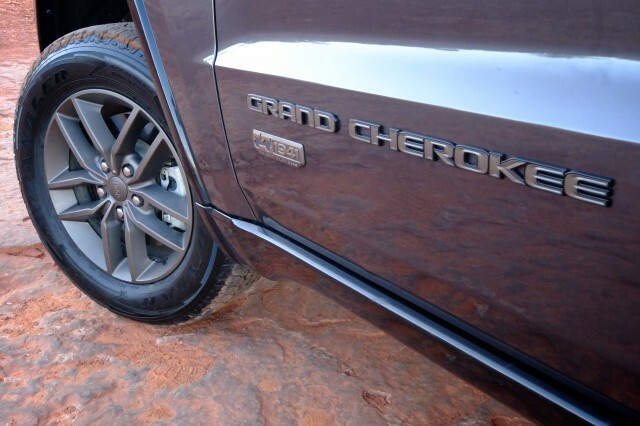 When elevated from the lowest of five positions to the tallest, the Grand develops a proper stance for off-highway driving. 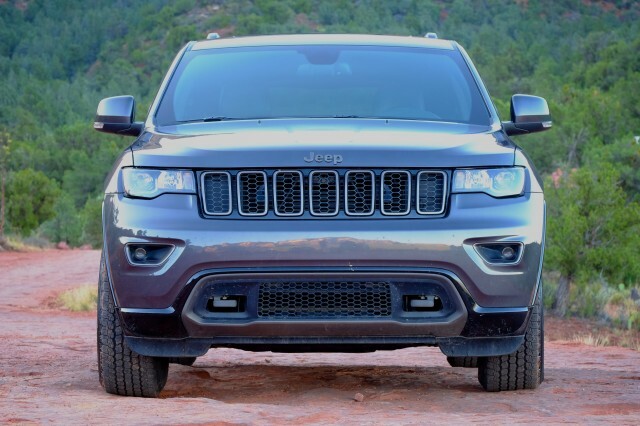 It’s hard not to appreciate the Grand Cherokee for what it is, and the 75th Anniversary edition fitted with the EcoDiesel is simply––superb. The subdued grey paint with dark wheels are striking and the removal of any shiny brightwork makes the Jeep look like it means business. Gone are the previous LED lights, which I find to be over-stated. 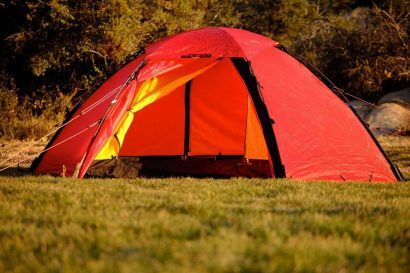 The overall package is elegant but retains the brawn that we have all come to associate with the brand. On the highway, the interior is quiet as a church, the ride smooth and poised, and the comfort afforded by the seats and features as refined as any sedan on the market. Acceleration is far more than just brisk, and the convenience of the near 700 mile refill range made me lament my frequent pit-stops with my current Jeep. 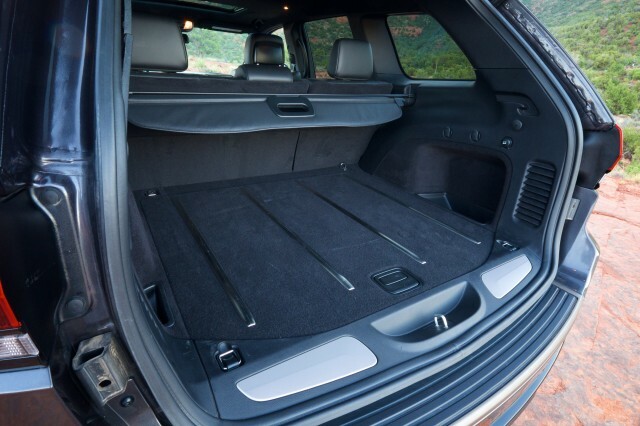 Cargo capacity is commensurate with a vehicle of this size and the 7,500-pound towing capacity means what you can’t fit within, you can certainly drag behind you with no problem. For those with towing needs, the suspension has dedicated settings to help with trailer stability. 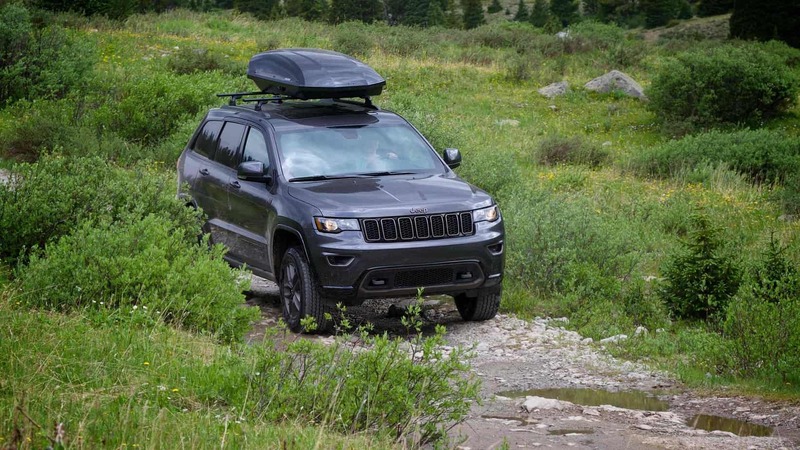 When the going gets rough, the Grand Cherokee is a willing participant, but it does require finesse to comfortably navigate it through obstacles, if for no other reason than to keep the driver and occupants comfortable. 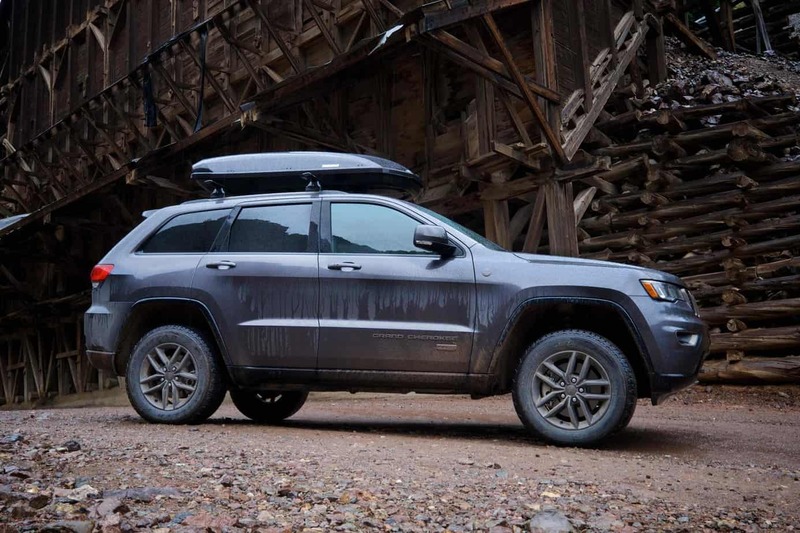 Surprisingly undeterred when the terrain gets ugly, the Grand Cherokee does not feel strained our out of place. It behaves as a Jeep should in those settings. It’s a beautiful platform, one worthy of the 75th Anniversary placard. 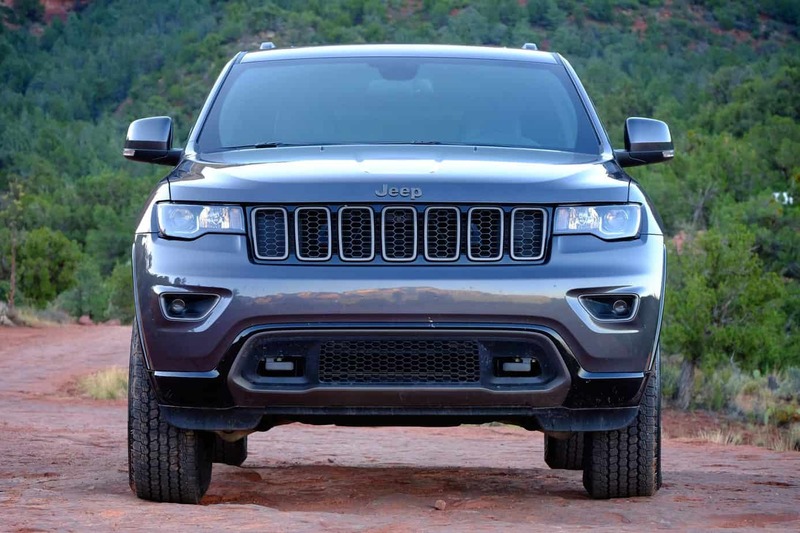 It is a far cry from that first Jeep, but the brand’s legendary DNA is evident in the Grand Cherokee, and that alone indicates a job well done.